The genomes of eukaryotic organisms are highly organized within the nucleus of the cell. The long strands of duplex DNA are wrapped around an octomer of histone proteins to form a nucleosome. This basic unit is then further compressed by the aggregation and folding of nucleosomes to form a highly condensed chromatin structure. A range of different states of condensation are possible, and the tightness of this structure varies during the cell cycle, being most compact during the process of cell division. There has been appreciation recently that chromatin templates form a fundamentally important set of gene control mechanisms referred to as epigenetic regulation. By conferring a wide range of specific chemical modifications to histones and DNA (such as acetylation, methylation, phosphorylation, ubiquitinylation and SUMOylation) epigenetic regulators modulate the structure, function and accessibility of our genome, thereby exerting a huge impact in gene expression. 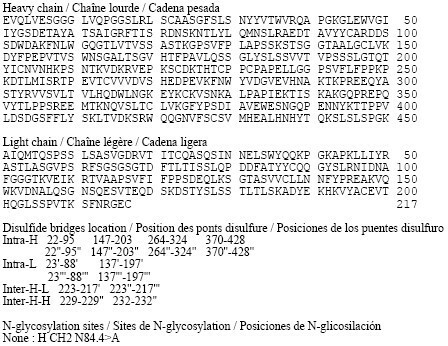 comprises 4 proteins (BRD2, BRD3, BRD4 and BRD-T) which contain tandem bromodomains capable of binding to two acetylated lysine residues in close proximity, increasing the specificity of the interaction. transcribed genes and may be involved in facilitating transcriptional elongation (Leroy et al, Mol. Cell. 2008 30(1):51-60), while BRD4 appears to be involved in the recruitment of the pTEF-I3 complex to inducible genes, resulting in phosphorylation of RNA polymerase and increased transcriptional output (Hargreaves et al, Cell, 2009 138(1): 1294145). All family members have been reported to have some function in controlling or executing aspects of the cell cycle, and have been shown to remain in complex with chromosomes during cell division – suggesting a role in the maintenance of epigenetic memory. In addition some viruses make use of these proteins to tether their genomes to the host cell chromatin, as part of the process of viral replication (You et al., Cell, 2004 117(3):349-60). Pharmacological Sciences, March 2012, Vol. 33, No. 3, pp. 146-153; Conway, ACS Med. Chem. Lett., 2012, 3, 691-694 and Hewings et al, J. Med. Chem., 2012, 55, 9393-9413. 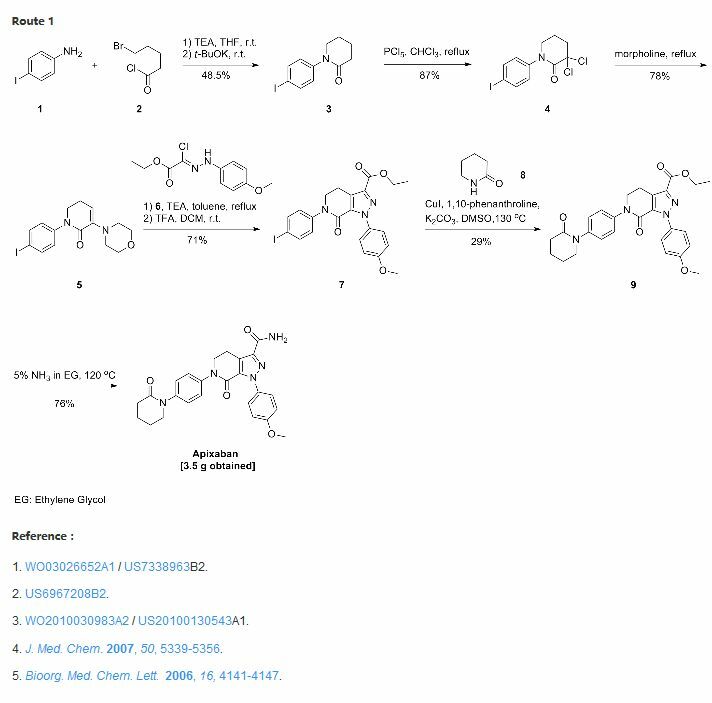 Small molecule BET inhibitors that are reported to be in development include GSK-525762A, OTX-015, TEN-010 as well as others from the University of Oxford and Constellation Pharmaceuticals Inc. Hundreds of epigenetic effectors have been identified, many of which are chromatin-binding proteins or chromatin-modifying enzymes. These proteins have been associated with a variety of disorders such as neurodegenerative disorders, metabolic diseases, inflammation and cancer. 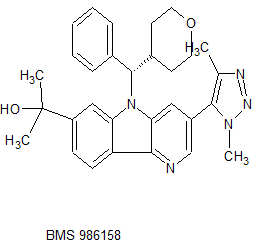 Thus, these compounds which inhibit the binding of a bromodomain with its cognate acetylated proteins, promise new approaches in the treatment of a range of autoimmune and inflammatory diseases or conditions and in the treatment of various types of cancer. To a 100 mL round bottom flask containing 5-bromo-2-chloropyridin-3-amine (2.90 g, 14.0 mmol), l,4-dimethyl-5-(tributylstannyl)-lH-l,2,3-triazole (2.70 g, 6.99 mmol) [Seefeld, M.A. et al. PCT Int. 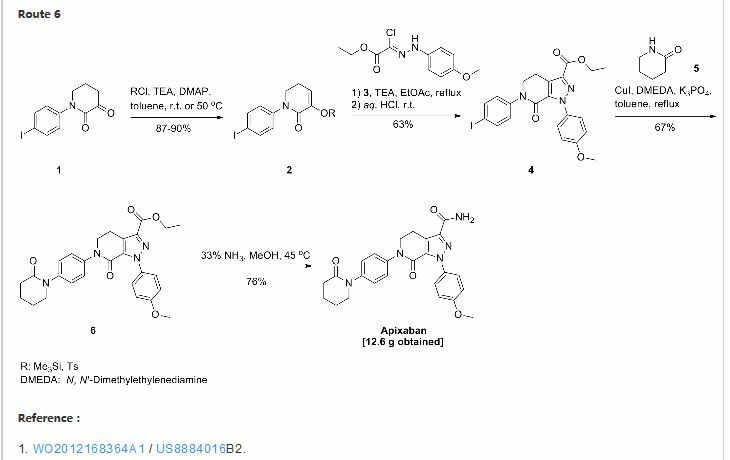 AppL, 2008, WO2008098104] and Pd(PPh3)4 (0.61 g, 0.52 mmol) in DMF (20 mL) was added cuprous iodide (0.20 g, 1.05 mmol) and Et3N (1.9 mL, 14.0 mmol). The reaction mixture was purged with N2 for 3 min and then heated at 100 °C for 1 h. After cooling to room temperature, the mixture was diluted withl0% LiCl solution and extracted with EtOAc (2x). The combined organics were washed with sat. NaCl, dried over MgS04, filtered and concentrated. CH2C12 was added, and the resulting precipitate was collected by filtration. The mother liquor was concentrated and purified using ISCO silica gel chromatography (40 g column, gradient from 0% to 100% EtOAc/CH2Cl2). The resulting solid was combined with the precipitate and triturated with cold EtOAc to give the title compound (740 mg, 47%) as a light tan solid. 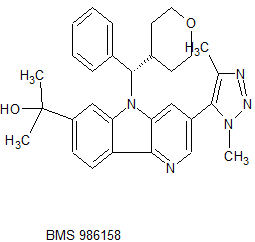 LCMS (M+H) = 224.1; HPLC RT = 1.03 min (Column: Chromolith ODS S5 4.6 x 50 mm; Mobile Phase A: 10:90 MeOH: water with 0.1% TFA; Mobile Phase B: 90: 10 MeOH:water with 0.1% TFA; Temperature: 40 °C; Gradient: 0-100% B over 4 min; Flow: 4 mL/min). Chromolith ODS S5 4.6 x 50 mm; Mobile Phase A: 10:90 MeOH:water with 0.1% TFA; Mobile Phase B: 90: 10 MeOH:water with 0.1% TFA; Temperature: 40 °C; Gradient: 0-100% B over 4 min; Flow: 4 mL/min). 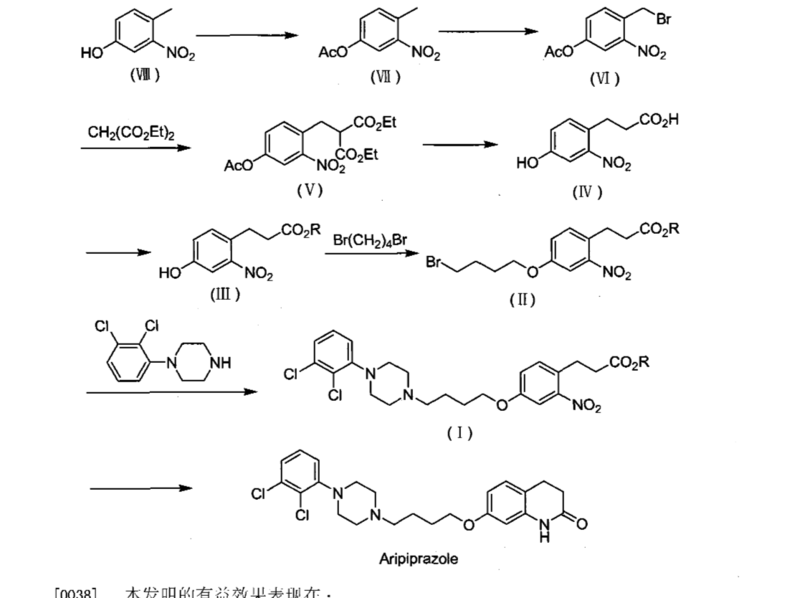 Following a procedure analogous to that described in Step 3 of Example 1 , methyl 3-((2-chloro-5-(l,4-dimethyl-lH-l,2,3-triazol-5-yl)pyridin-3-yl)amino)benzoate (2.82 g, 7.88 mmol) was converted to the title compound (1.58 g, 62%). 1H NMR (500 MHz, DMSO-de) δ 11.93 (s, 1H), 8.62 (d, J=1.8 Hz, 1H), 8.36 (dd, J=8.2, 0.6 Hz, 1H), 8.29 -8.22 (m, 1H), 8.16 (d, J=1.8 Hz, 1H), 7.91 (dd, J=8.2, 1.4 Hz, 1H), 4.02 (s, 3H), 3.94 (s, 3H), 2.31 (s, 3H); LCMS (M+H) = 322.3; HPLC RT = 1.98 min (Column: Chromolith ODS S5 4.6 x 50 mm; Mobile Phase A: 10:90 MeOH:water with 0.1% TFA; Mobile Phase B: 90: 10 MeOH:water with 0.1% TFA; Temperature: 40 °C; Gradient: 0-100% B over 4 min; Flow: 4 mL/min). 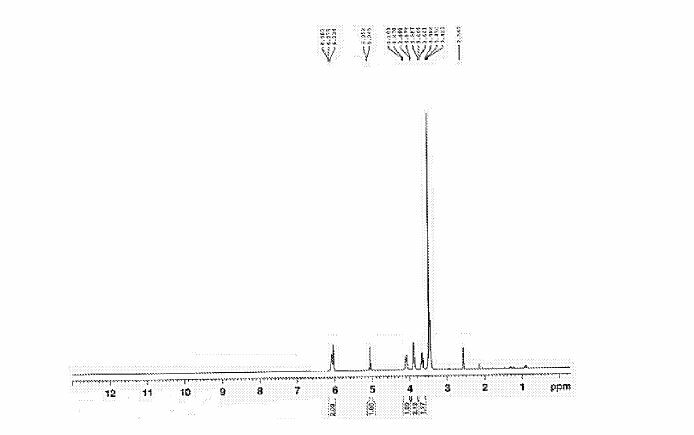 10%MeOH/DCM, 0 to 100% gradient) and chromatographed to give an additional 0.7 g. of methyl 3 -( 1 ,4-dimethyl- 1 H- 1 ,2,3 -triazol-5 -yl)-5H-pyrido [3 ,2-b]indole-7-carboxylate (2.30 g total, 7.16 mmol, 72.8 % yield). 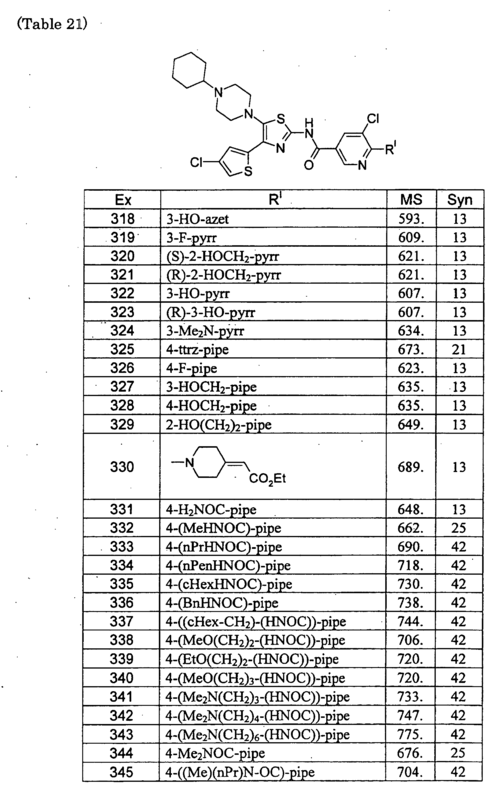 Following a procedure analogous to that described in Step 4 of Example 1 , methyl 3-(l,4-dimethyl-lH-l,2,3-triazol-5-yl)-5H-pyrido[3,2-¾]indole-7-carboxylate (80 mg, 0.25 mmol) was converted to the title compound (65 mg, 53%) after purification by prep HPLC (Column: Phen Luna C 18, 30 x 100 mm, 5 μιη particles; Mobile Phase A: 5:95 acetonitrile: water with 0.1% TFA; Mobile Phase B : 95 : 5 acetonitrile: water with 0.1% TFA; Gradient: 10-100% B over 14 min, then a 2-min hold at 100% B; Flow: 40 mL/min). 1H NMR (400 MHz, CDC13) δ 8.51 (d, J=1.8 Hz, 1H), 8.50 (s, 1H), 8.47 (d, J=8.1 Hz, 1H), 8.10 (dd, J=8.1, 1.1 Hz, 1H), 7.63 (d, J=1.8 Hz, 1H), 7.46 (d, J=7.3 Hz, 2H), 7.40 – 7.30 (m, 3H), 5.62 (d, J=10.6 Hz, 1H), 4.11 – 4.03 (m, 4H), 3.92 – 3.83 (m, 4H), 3.56 (td, J=l 1.9, 1.8 Hz, 1H), 3.35 (td, J=l 1.9, 1.9 Hz, 1H), 3.18 – 3.05 (m, 1H), 2.30 (s, 3H), 2.04 (d, J=13.0 Hz, 1H), 1.71 – 1.58 (m, 1H), 1.50 – 1.37 (m, 1H), 1.09 (d, J=12.8 Hz, 1H); LCMS (M+H) = 496.3; HPLC RT = 2.93 min (Column: Chromolith ODS S5 4.6 x 50 mm; Mobile Phase A: 10:90 MeOH:water with 0.1% TFA; Mobile Phase B: 90: 10 MeOH:water with 0.1% TFA; Temperature: 40 °C; Gradient: 0-100% B over 4 min; Flow: 4 mL/min). Chiralcel OD-H 250 x 4.6 mm, 5 μιη; Mobile Phase: 50/50 C02/(1 : 1 MeOH/CH3CN); Flow: 2 mL/min); [a]D2° = -117.23 (c = 0.08, CHC13). 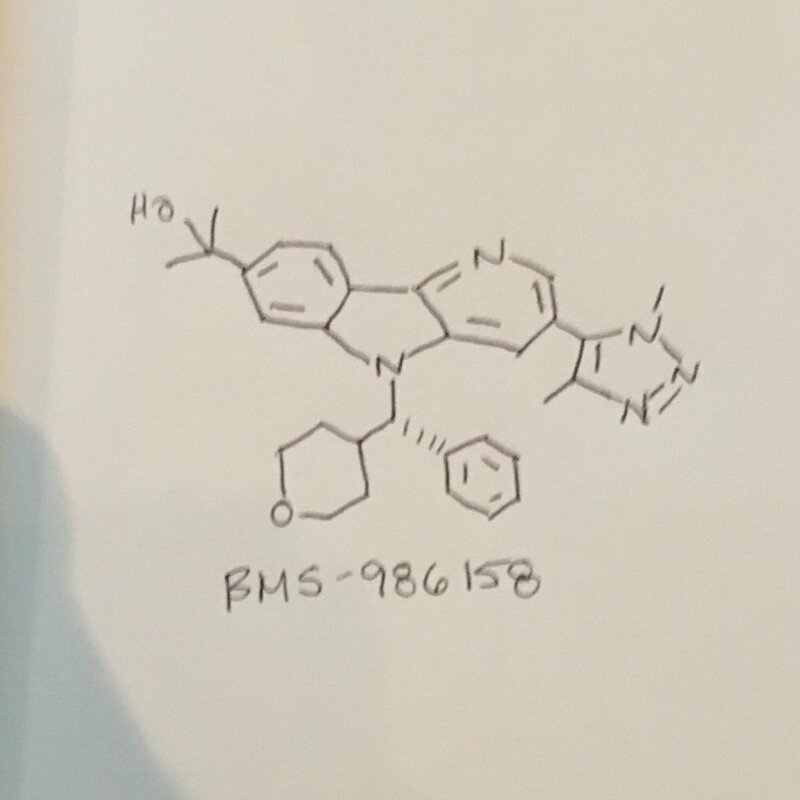 Enantiomer B: 1H NMR (500 MHz, CDC13) δ 8.44 (d, J=l .8 Hz, IH), 8.36 (d, J=8.2 Hz, IH), 7.98 (s, IH), 7.56 (d, J=1.7 Hz, IH), 7.47 – 7.41 (m, 3H), 7.37 – 7.32 (m, 2H), 7.31 – 7.28 (m, IH), 5.59 (d, J=10.5 Hz, IH), 4.06 (dd, J=11.8, 2.8 Hz, IH), 3.90 – 3.84 (m, 4H), 3.55 (td, J=11.9, 2.0 Hz, IH), 3.35 (td, J=l 1.9, 2.0 Hz, IH), 3.15 – 3.04 (m, IH), 2.30 (s, 3H), 2.04 (d, J=13.6 Hz, IH), 1.92 (s, IH), 1.75 (s, 6H), 1.69 – 1.58 (m, IH), 1.47 – 1.38 (m, IH), 1.12 (d, J=13.4 Hz, IH); LCMS (M+H) = 496.4; HPLC RT = 2.46 min (Column: Chromolith ODS S5 4.6 x 50 mm; Mobile Phase A: 10:90 MeOH:water with 0.1% TFA; Mobile Phase B: 90: 10 MeOH:water with 0.1% TFA; Temperature: 40 °C; Gradient: 0-100% B over 4 min; Flow: 4 mL/min). SFC RT = 8.30 min (Column: Chiralpak IB 250 x 4.6 mm, 5 μιη; Mobile Phase: 70/30 C02/MeOH; Flow: 2 mL/min); SFC RT = 2.83 min (Column: Chiralcel OD-H 250 x 4.6 mm, 5 μιη; Mobile Phase: 50/50 C02/(1 : 1 MeOH/CH3CN); Flow: 2 mL/min); [a]D2° = +88.78 (c = 0.10, CHC13). (Column: Chiralpac AD 250 x 4.6 mm, 5 μιη; Mobile Phase: 70/30 C02/MeOH; Flow: 3 mL/min); Temperature 40°C. Enantiomer B: (R)-phenyl(tetrahydro-2H-pyran-4-yl)methanol. (0.92 g, 46%) SFC RT = 3.09 min (Column: Chiralpac AD 250 x 4.6 mm, 5 μιη; Mobile Phase: 70/30 C02/MeOH; Flow: 3 mL/min); Temperature 40°C. 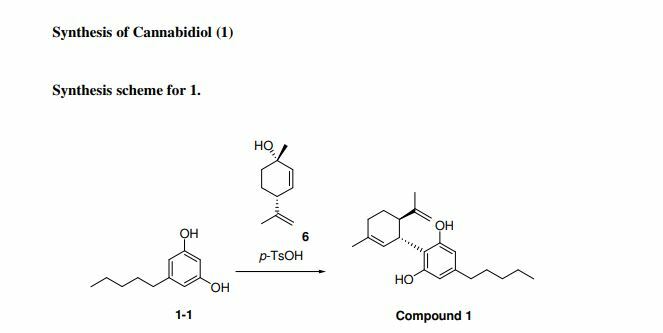 Following a procedure analogous to that described in Step 4 of Example 1 except using toluene (120mL) as the solvent, methyl 3-(l ,4-dimethyl-lH-l,2,3-triazol-5-yl)-5H-pyrido[3,2-b]indole-7-carboxylate (4 g, 12.45 mmol) and (R)-phenyl(tetrahydro-2H-pyran-4-yl)methanol (Enantiomer B above, 5.86 g, 30.5 mmol) was converted to the title compound (5.0 g, 81%). 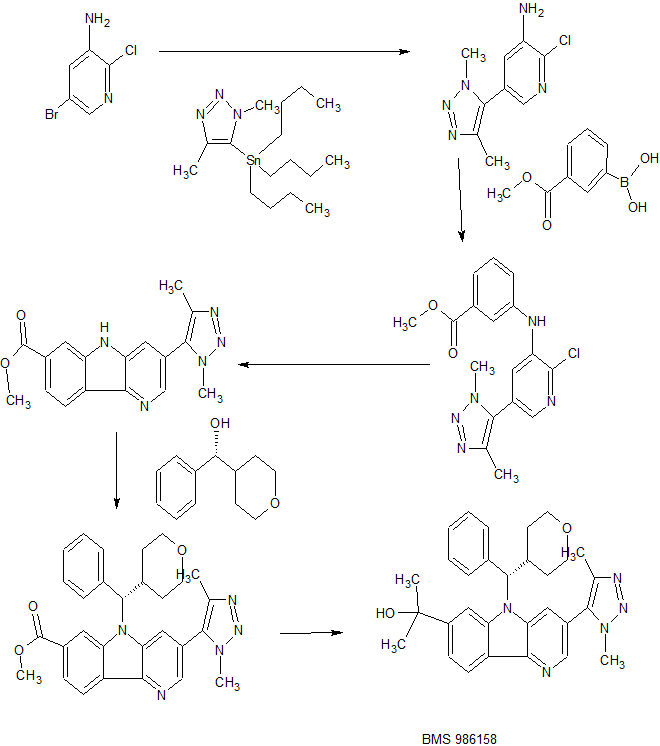 HPLC RT = 2.91 min (Column: Chromolith ODS S5 4.6 x 50 mm; Mobile Phase A: 10:90 MeOFLwater with 0.1% TFA; Mobile Phase B: 90: 10 MeOFLwater with 0.1% TFA; Temperature: 40 °C; Gradient: 0- 100% B over 4 min; Flow: 4 mL/min). TFA; Temperature: 40 °C; Gradient: 0-100% B over 4 min; Flow: 4 mL/min); SFC RT = 2.01 min (Column: Chiralcel OD-H 250 x 4.6 mm, 5 μιη; Mobile Phase: 60/40 C02/(1 : 1 MeOH/CH3CN); Flow: 2 mL/min). SFC RT = 1.06 min (Column: Chiralcel OD-H 250 x 4.6 mm, 5 μιη; Mobile Phase: 50/50 C02/(1 : 1 MeOH/CH3CN); Flow: 2 mL/min). By DR ANTHONY MELVIN CRASTO Ph.D in Preclinical drugs, Uncategorized on April 10, 2017 .